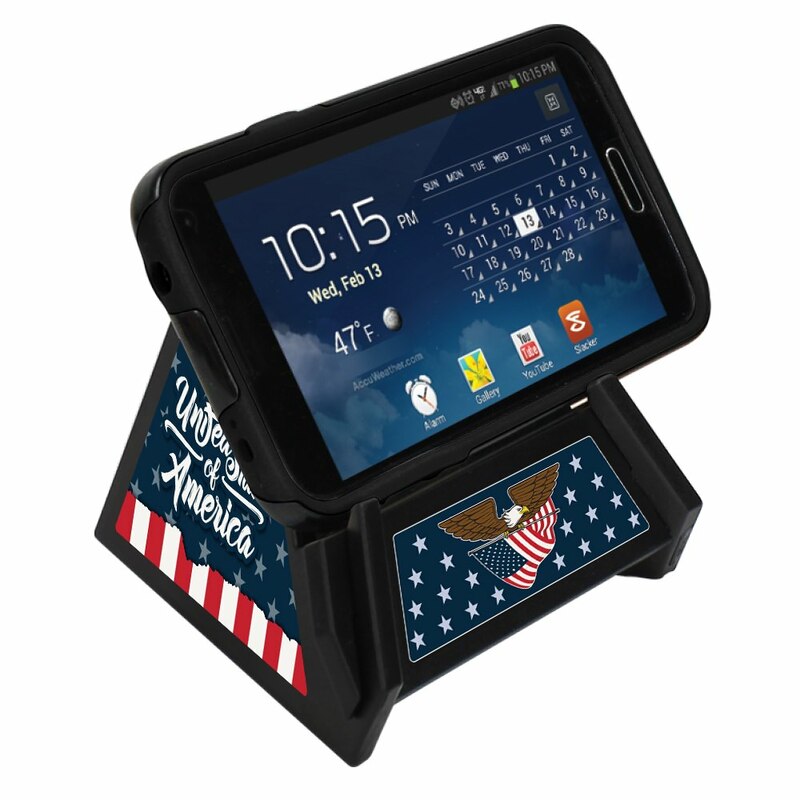 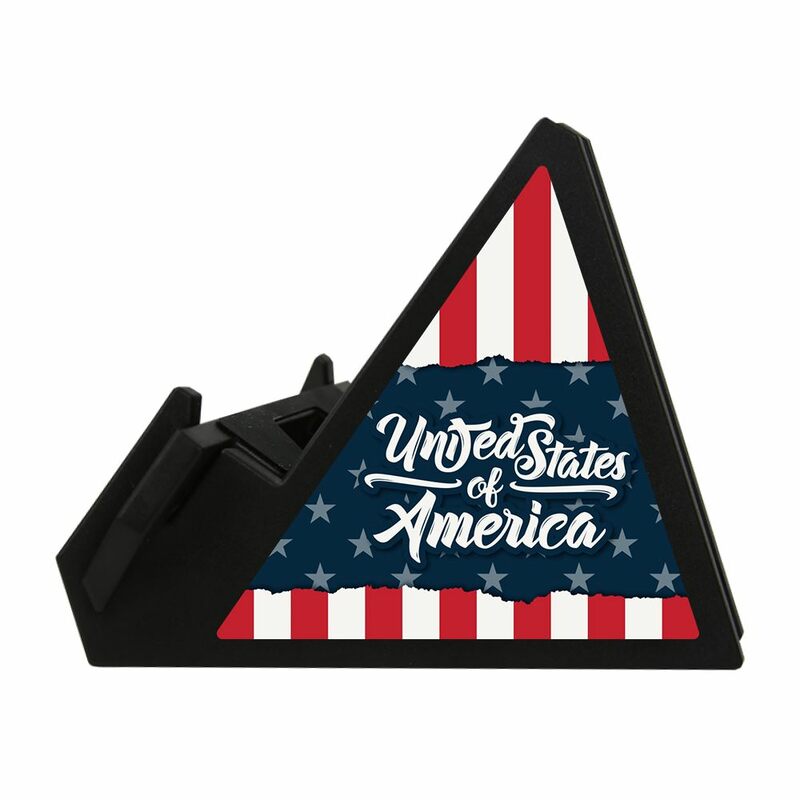 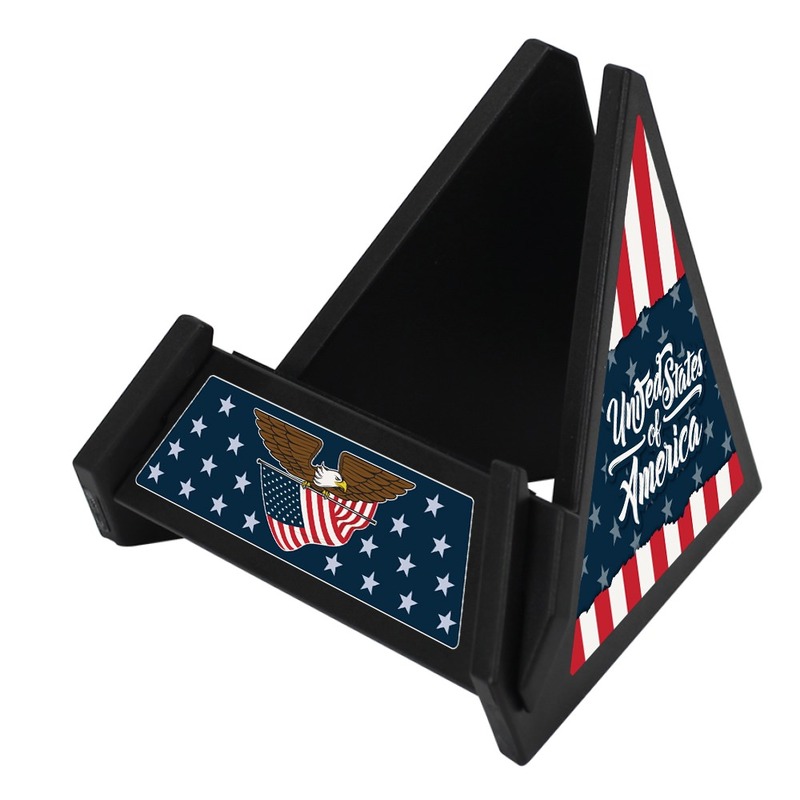 Show your USA pride with the US Flag Collection Pyramid Phone & Tablet Stand from Guard Dog®. 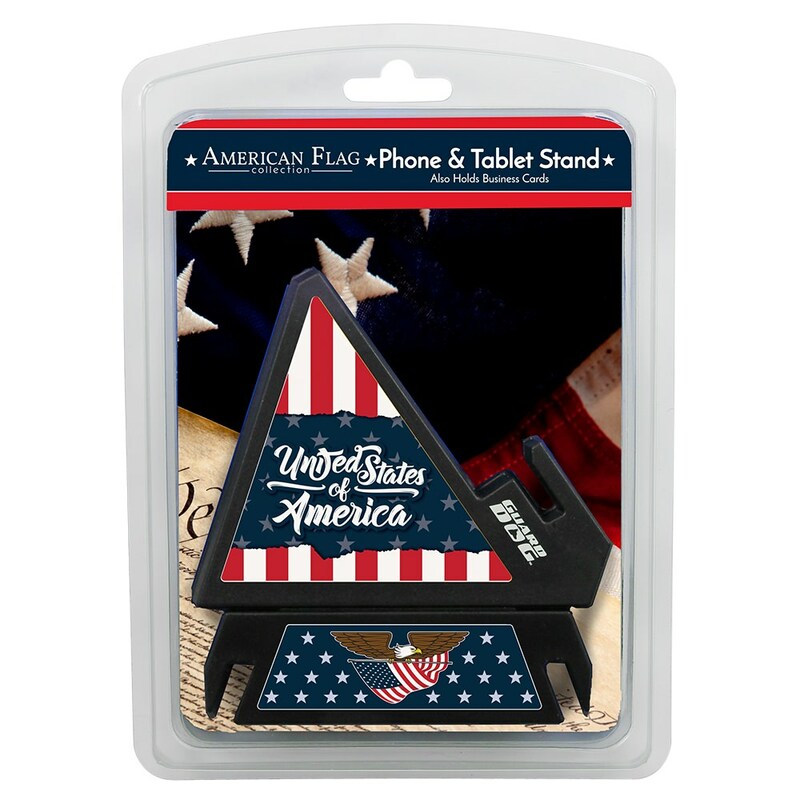 Featuring our US Flag design, the Phone & Tablet Stand makes watching videos, calls, or charging your device easy! 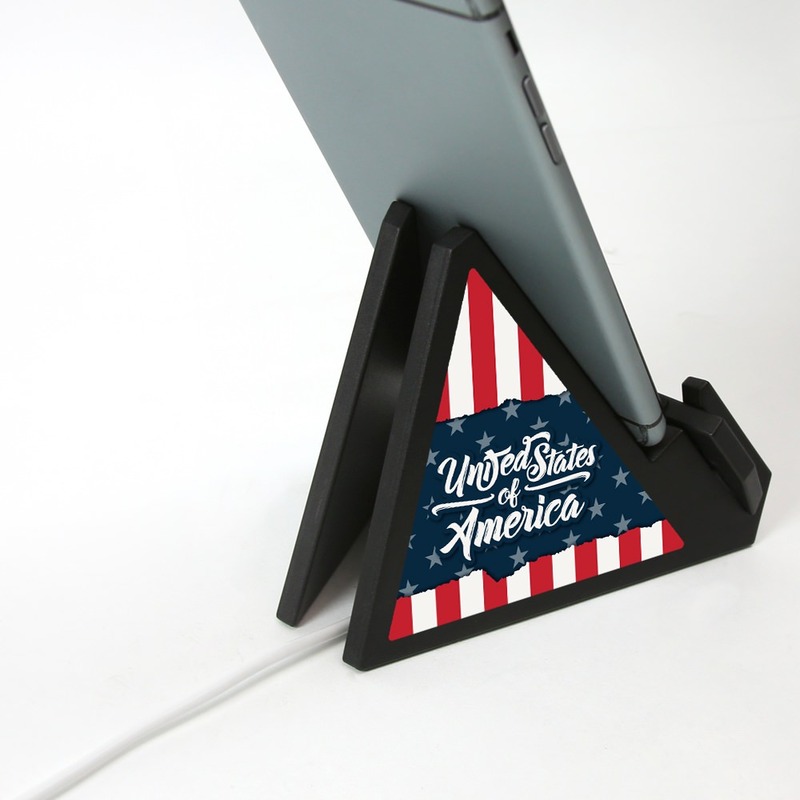 The Phone Stand supports tablets, phones, business cards, and more. 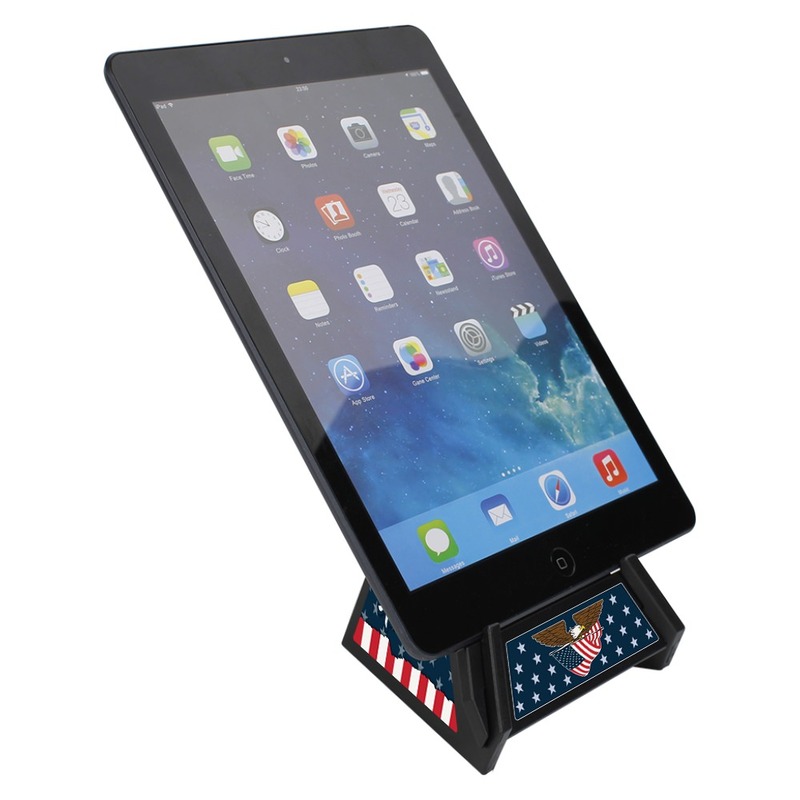 The inter-locking frame and rubber grips prevent surface sliding, while the open back design allows for easy access to charge your device.